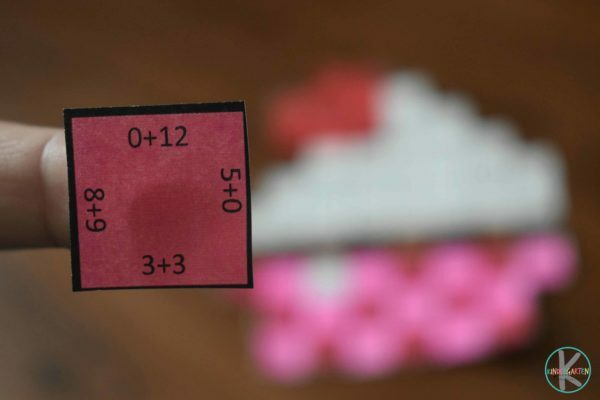 Kids will have fun practicing addition while making this cute Valentines Day Math Craft! This is the perfect free printable addition activity for Kindergarten and first grade during the month of February. Kids need lots of practice to have math fluency. This fun addition math craft is no prep plus perfect for Kindergarten math or first grade review. For each student making the project you will need to print 2 sheets – the large board and the addition tiles. HINT: There are lots of color choices in this pack including a color-your-own option for those wanting to save on color printing. 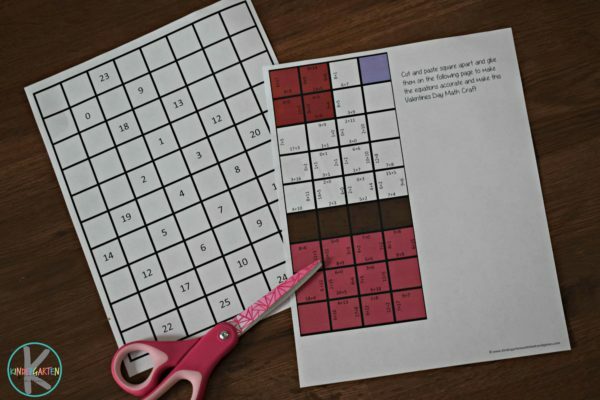 Next, students will want to cut out all the squares on their pieces worksheets. 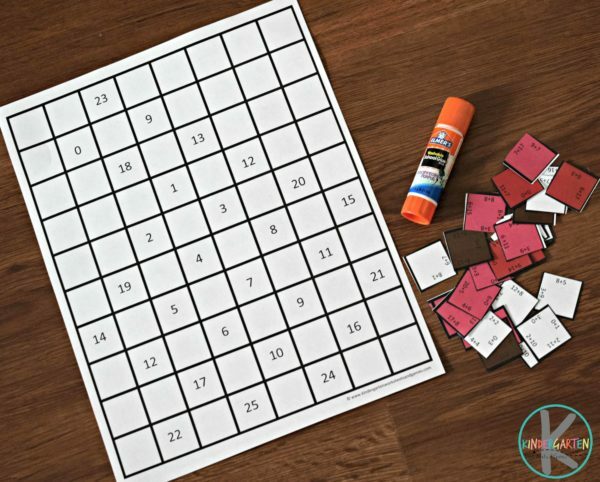 Another option would be to laminate the pieces and grid sheet and have students complete the Kindergarten math activity at a math center and when they are done store it in a plastic envelope for someone else to try later. Complete instructions included on the addition pieces sheet. 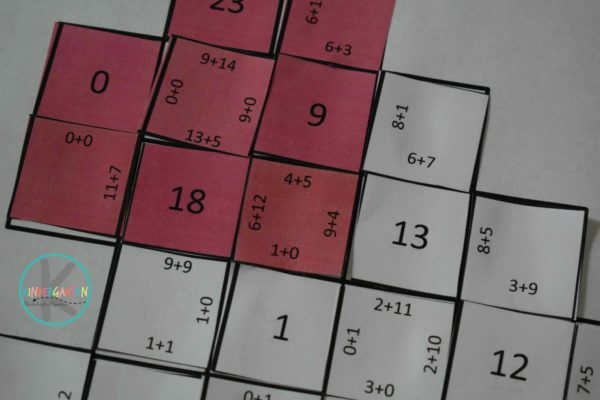 But basically students will start by gluing the numbered squares on top of the grid number squares. After that splash of color (and number recognition step) has been completed students will begin the Valentines Day math game part. 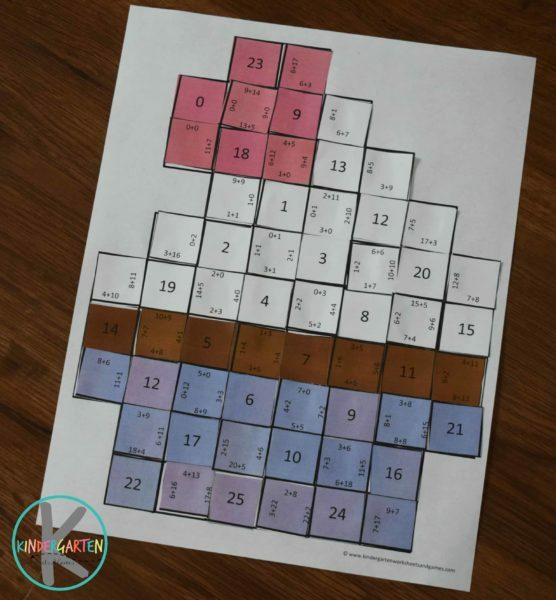 To complete this free printable addition game students will look at the square. There will be one to four addition problems on each square. They will need to glue the square in a grid where it will correctly solve all the equations. You can see above that all the sides of the math squares are placed where the adjacent number makes the equation correct. Students will need to make sure all one to four equations per piece are correct before affixing the piece to the grid. When they are done they will discover they have made a math cupcake! Again there are various different color combinations in the free printable math worksheets below. At this point you can have students write their name on the worksheet to take home or hang up. Personally, we like to cut out the cupcake before hanging them up – they just look prettier that way! 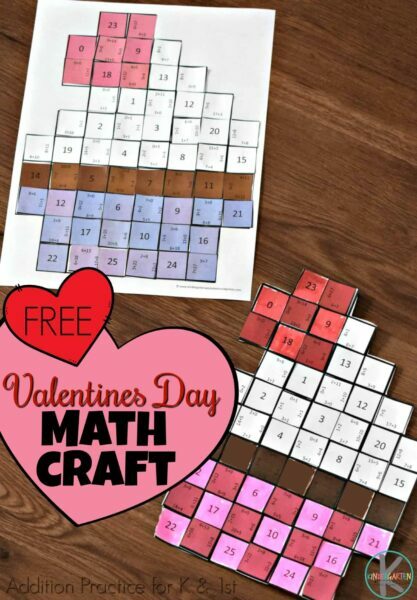 HINT: These would make a really cute Valentines Day Math bulletin board for February!